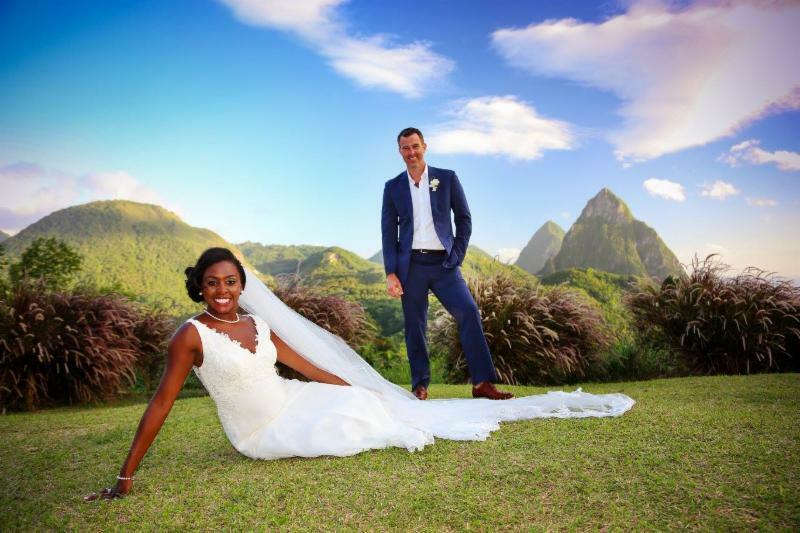 Awesome Caribbean Weddings have planned many spectacular weddings in Saint Lucia and have recommended the 4 most romantic places to get married on the simply beautiful island of Saint Lucia. Our historical ruins are located in Pigeon Island on the North West coast of St. Lucia. This is a stunning 44 acre national park and one of the main landmarks of St.Lucia. It’s not an island anymore – a causeway was built to join it to the main land in 1972.The historical background of this beauty spot is epic – occupied by Amerindians, pirates, and switching back between the French and the English 14 times as they fought over the island. This is a beautiful tropical haven and a very serene and peaceful setting. 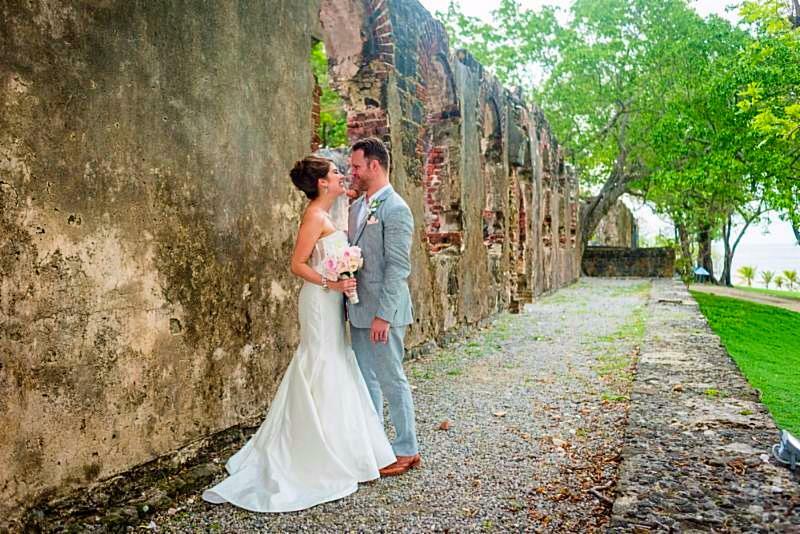 Choosing the Soldiers barracks ruins for your wedding location will have you celebrating your union in a living museum adding your special day to the magnificent history of this awesome building. An ultimate dream location that showcases St. Lucia for what it does best – Dramatic, Jaw dropping natural beauty. A manicured lawn that overlooks the majestic Piton Mountains and the Caribbean Sea and sunsets not to be missed! Just a few of the reasons your guests will label yours the ‘best wedding ever’! Now this is a luxury villa! It majestically holds court on the side of the Soufriere hillside that drops down to the Caribbean Sea. 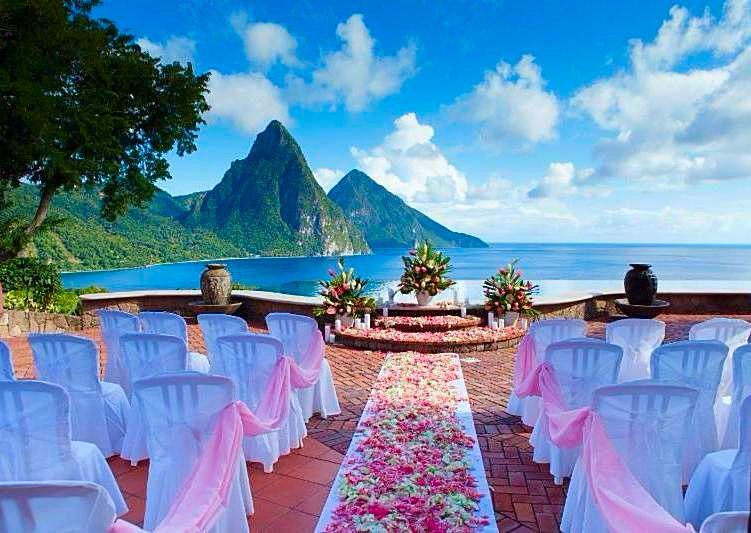 With incredible features and suites and an infinity pool with the Piton Mountains as a backdrop this location is Awesome for your accommodation and ceremony. This location undoubtedly delivers the “wow” factor for your wedding. 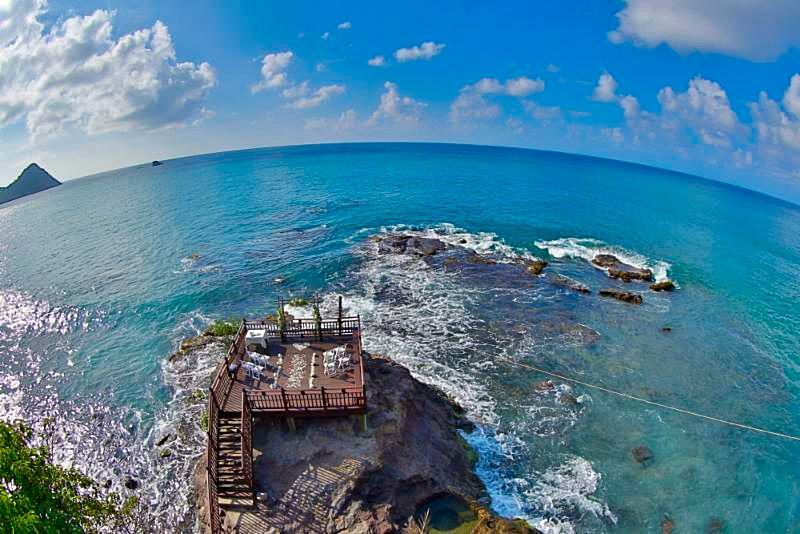 Just imagine standing on a wooden platform perched on imposing rocks with the Caribbean Sea swirling around you as you say your vows. Imagine the facilities and quality of the highest luxury… you are imagining your Awesome wedding at the impressive Cap Maison resort. For more information on romance and weddings in Saint Lucia, visit www.saintluciauk.org/love. Awesome Caribbean Weddings provides a completely personalized service to plan a unique wedding or symbolic ceremony for each couple. Everything is tailor made to showcase our couple; their love for each other, their relationship so far, their personalities, taste and style.